Independent farm distillery, Kilchoman, has just released a limited edition Loch Gorm Single Malt Whisky. Only 2850 cases (17,100 bottles) of the five year-old bottling will be available worldwide through existing distributors and online. This is the second Loch Gorm Single Malt to be released. The first, which was released in April last year, was awarded the prestigious 2013 IWSC Gold (2013 edition). Each release is differentiated by the distillation and bottling dates on the front of the bottle and carton. Fully matured from filling to bottling in fresh Oloroso sherry butts, Loch Gorm adds a new dimension to Kilchoman’s portfolio, bringing a depth of character and colour to the Islay Single Malt. 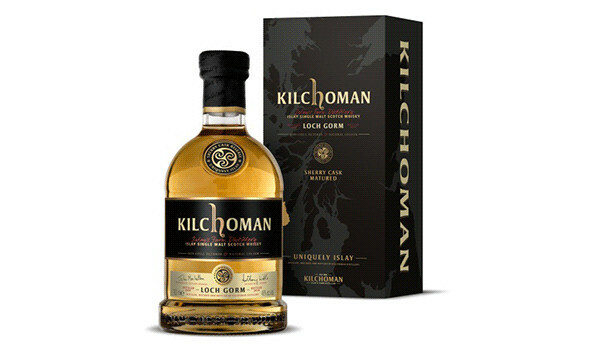 The Loch Gorm range is the only all sherry cask-matured expression from Kilchoman. This range is named after the famously peaty loch in front of the distillery on Islay; Kilchoman draws the water for Loch Gorm from the burn that runs into the loch. Anthony Wills, Managing Director of Kilchoman, said: “'Our sherry cask matured releases have proved very popular and this is the third and most mature to date so we anticipate this latest offering to be very well received. Founded in 2005, Kilchoman is one of the smallest distilleries in Scotland and the first distillery to be built on Islay for 125 years. A working farm distillery, it is one of only a handful of distilleries still practising floor malting. Kilchoman also grows a portion of its barley at the distillery, and completes all parts of the production process, from barley to bottling on the island. Loch Gorm is bottled at 46% ABV and will be available from specialist drinks, whisky stores and online, priced at a RRP of £55-£59.